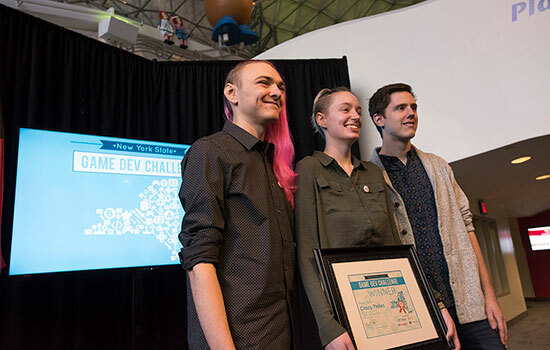 The RIT student team from Aesthetician Labs took home first place in the New York State Game Dev Challenge, hosted by RIT, for their game Crazy Platez. 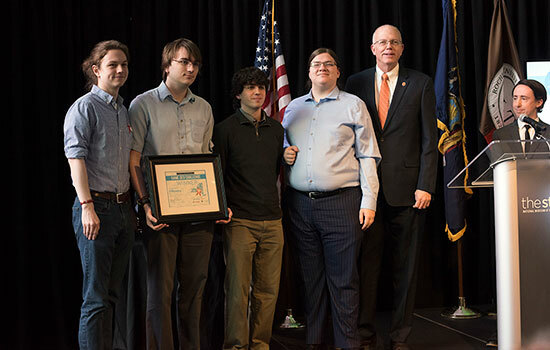 From left, Noah Ratcliff, Sam Cammarata and Aidan Markham accepted the $12,000 prize for winning the student developer category. The challenge was sponsored by Empire State Development and held at The Strong in downtown Rochester on April 12. 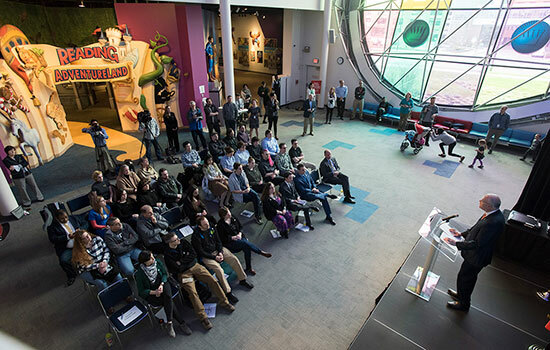 Rochester Institute of Technology students took top honors at the second annual New York State Game Development Challenge held April 12 at The Strong in Rochester, N.Y. 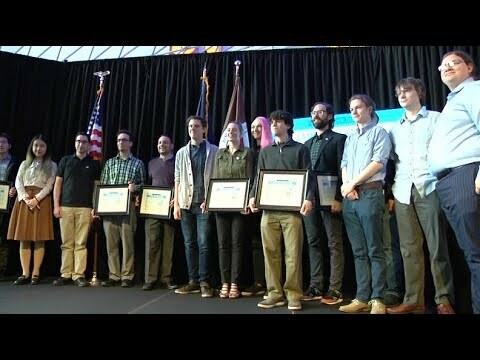 The contest, hosted by RIT’s Center for Media, Arts, Games, Interaction and Creativity (MAGIC) and sponsored by Empire State Development, presented awards in student and independent developer categories. RIT President David Munson and Empire State Development Regional Director Vincent Esposito were on hand to announce the winners.